Melt two thirds of the white chocolate chips and butter in a microwave safe bowl in 30 second increments until fully melted. Whisk until fully combined and allow to cool. In your stand mixer beat the eggs until they're foamy, then add the sugar and vanilla until fully combined. Add in the cooled white chocolate mixture, then the flour and salt. Fold in the Oreo chunks and the remaining one-third of the white chocolate chips. 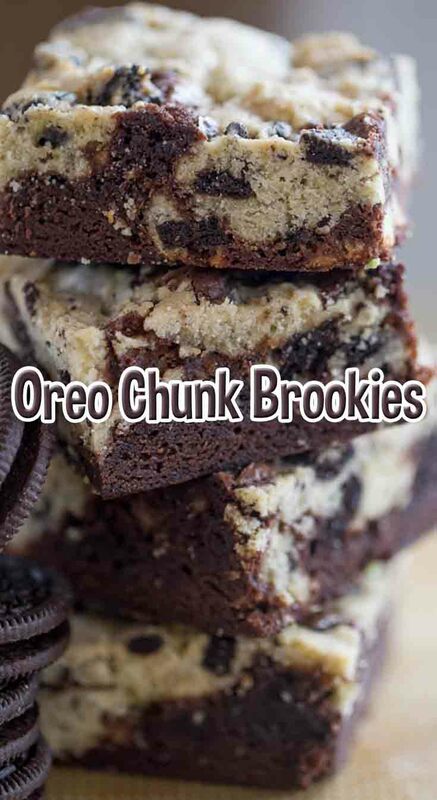 Using a large spoon or your hands, drop chunks of oreo chunk cookie dough gently over the brownie layer. Cool completely before cutting into 32 servings.